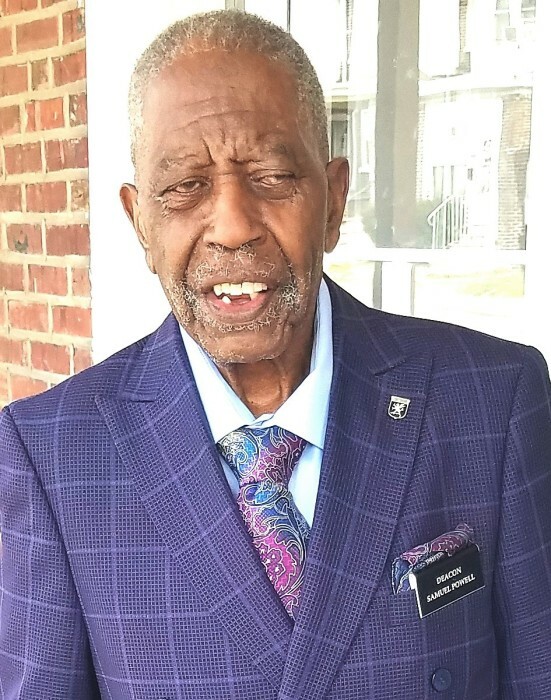 Deacon Samuel Powell, age 89 departed this life April 4, 2019. His funeral will take place 10:30AM Wed., April 10th at Rehoboth Temple of Praise, 4066 New Castle Ave., New Castle, DE 19720. There will be a public viewing from 8:30AM until10:15AM only. His burial will be held in Delaware Veterans Cemetery.